Initially, Captain Toad: Treasure Tracker came out in early 2015 on the Wii U, when even the most stubborn Nintendo fans became clear: the console failed miserably. For this reason, many have not been able to plunge into the merry adventures of Captain Toad and his companion Toadette. Fortunately, Nintendo decided to correct this flaw by porting the project not only to Switch but also to 3DS! 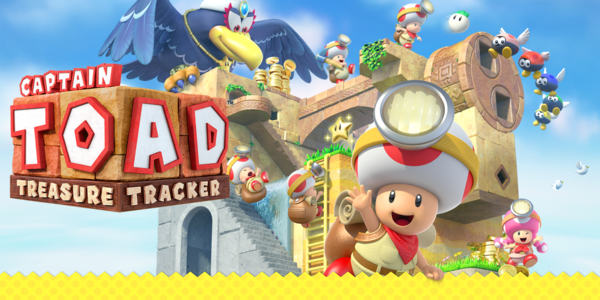 I evaluated Captain Toad: Treasure Tracker on the most current console of the company,, however, according to my colleagues, it looks good on a gradually aging portable. 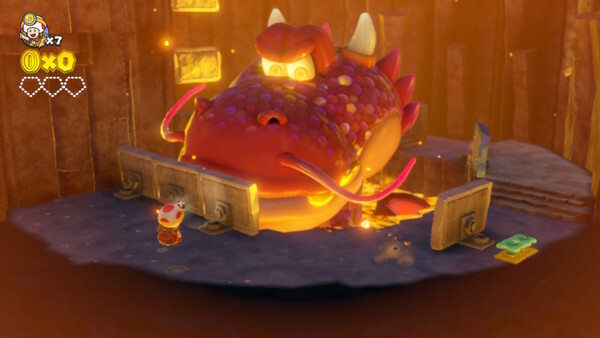 Fans of Mario know the mushroom-shaped inhabitants of the Mushroom Kingdom, but not everyone is aware that these sweethearts and hunger for treasure easily compete with Scrooge MacDuck. 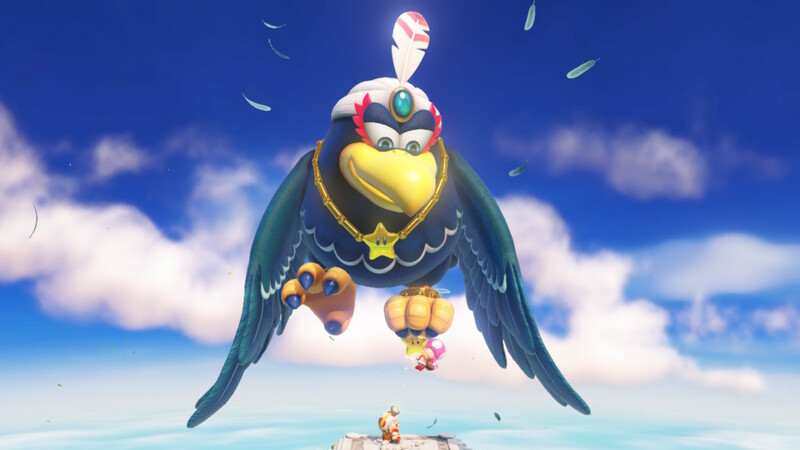 It was precisely the reluctance of the captain Toad’s companion, the pink-headed Toadette, to give the star that he had just found to the huge bird Vingo that led to the fact that the main character (n-s-s, it’s not that simple) had to go on an adventure again. Now his main goal was to rescue a girlfriend from a principle of voluntary captivity in a forty-overgrown … of course, filling a backpack with little gold and ornaments . 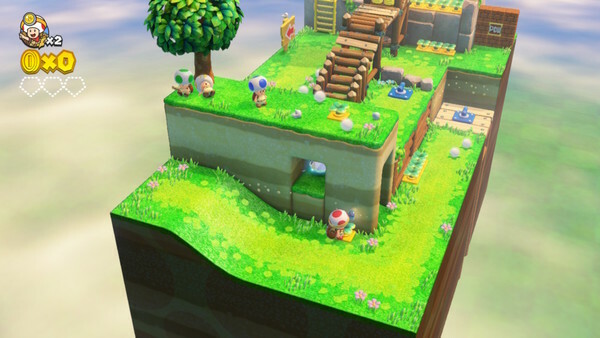 It is this huge bag, located behind the captain of Toad, does not allow him to jump, which would make it easier to overcome many obstacles. Someone else doubts the sweetheart hero’s irresistible love for glitters? Fortunately, he has strong hands, like all the inhabitants of the Mushroom Kingdom, which allows him to spin huge wheels, pull disproportionate levers, pull plants from the ground, and carry unbelievable weights. 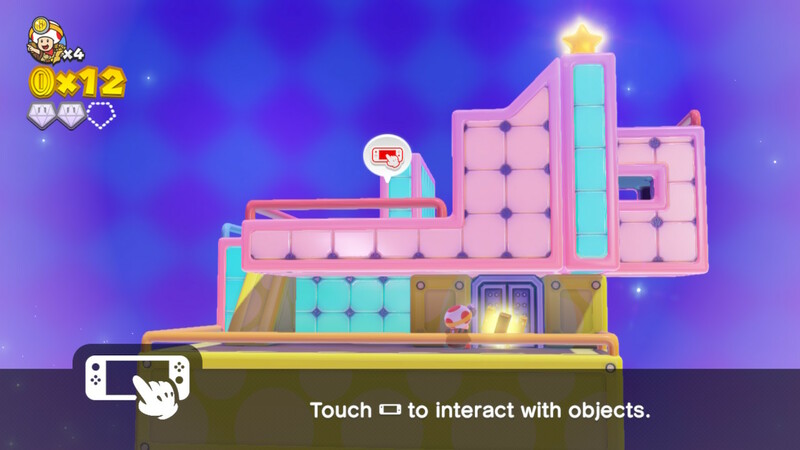 It is the combination of these simple actions that underlie the gameplay of Captain Toad: Treasure Tracker. Pulling the levers and turning the wheels, the hero and the player overcome obstacles in the way, solving puzzles on the way. 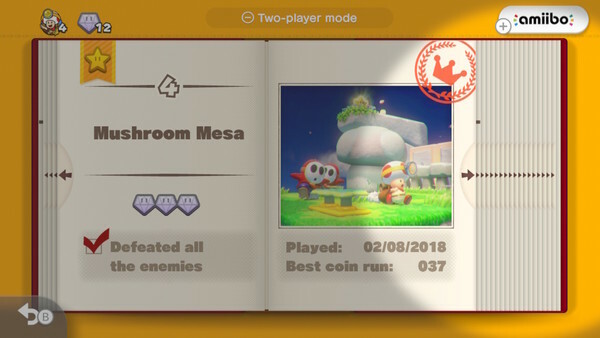 Most often, the puzzles on the road to salvation Toadrett come across some simple ones, but sometimes the game does make you think hard. 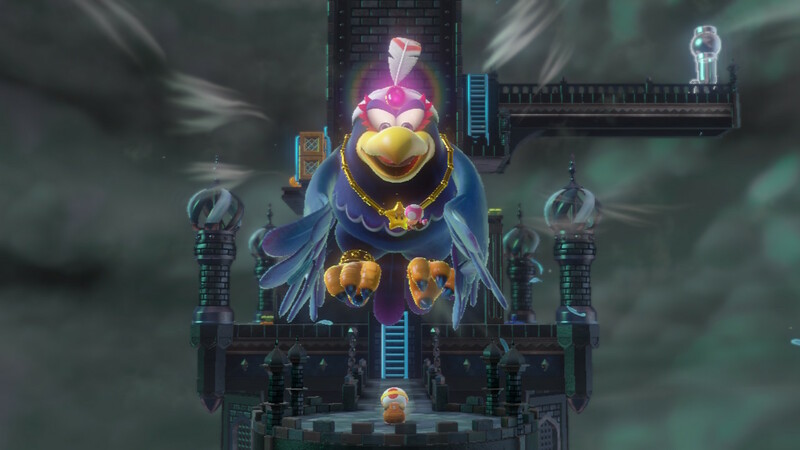 It was not for nothing that I said above that it is not only the captain Toad himself who turns the wheels and produces other power actions, but also a player. Since the project was created under the Wii U with its unusual gamepad, which has a touchscreen, many actions are decided from it. We bring the hero to the wheel – and the game asks us to spin it right on the console screen, we go in a special block – we move it with our finger there. But all this moves perfectly to Switch only in portable mode. 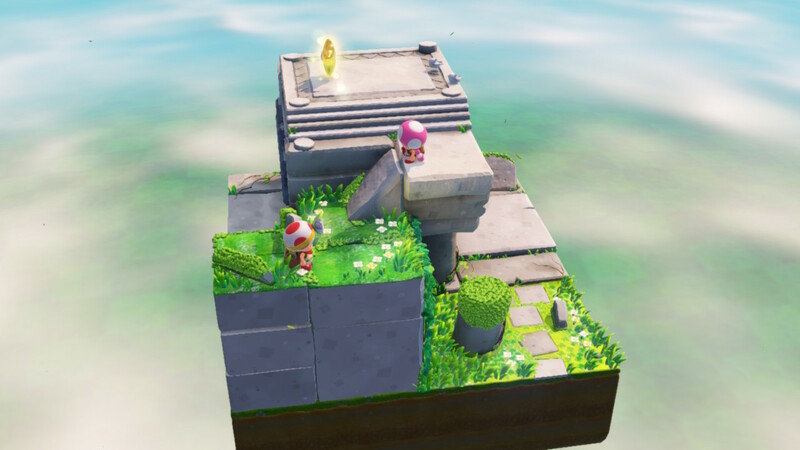 If you play Captain Toad: Treasure Tracker on a TV , then the Joycons or Pro Controller become a digital pointer with the built-in gyro. A lot of time can be spent on mastering them by gamers who are not used to such targeting. Yes, even to me, a fan of gyro aiming, to be honest, it is more convenient to play portable, although not so interesting. In manual mode, the game greatly simplifies the tip in some areas, translating it into automatic. Above, I focused on Captain Toad: Treasure Tracker as a simulator of walking and solving problems, but there is also an element of battle in it. The hero on his way to the rescue of his girlfriend will meet not only cunning labyrinths, but also opponents, of course, familiar to Nintendo fans from other Mario-related projects. Often, you can just run through them, but sometimes it’s impossible to do without dropping something heavy and throwing turnips – do not forget about the strong hands of Captain Toad. But the hero cannot jump on his enemies, greed prevents him from throwing a backpack. Each of the more than fifty levels of Captain Toad is a kind of sandbox that we can rotate along the X axis completely and quite seriously along the Y axis. This is what allows us to find hidden passages and secrets. Layout of the levels is very different, but fully fit into the universe of Mario. 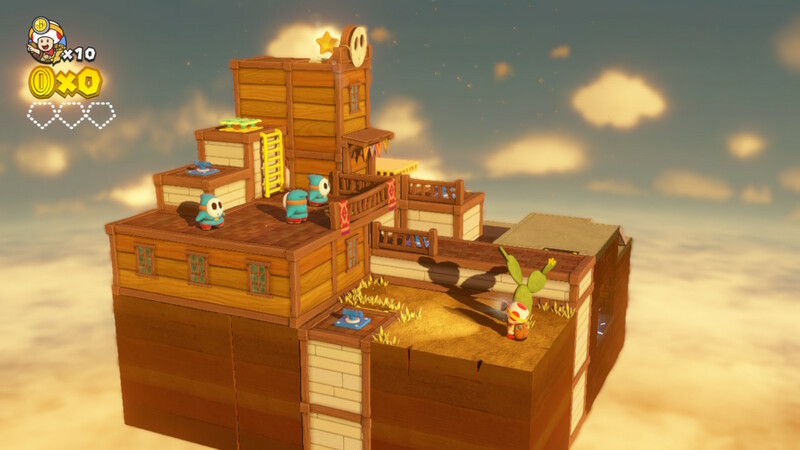 The ports of the game for Switch and 3DS have lost several locations dedicated to Wii U Super Mario 3D World, which they replaced with completely new ones related to Super Mario Odyssey. 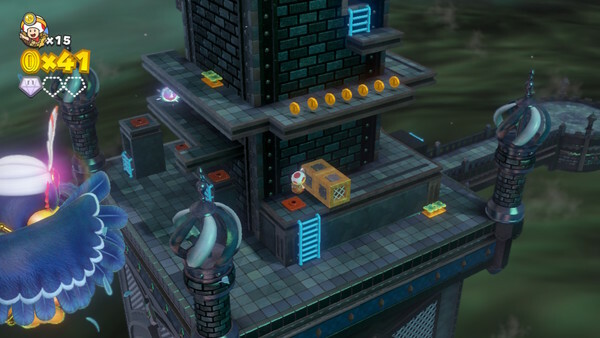 Surprisingly, the developers managed to fit into the concept of a generally unhurried adventure with mini-puzzles of bosses. Sometimes they are all the same mazes with a collection of coins on the way to the finish, but there are real battles with throwing turnips at opponents. I like the bossfights in Captain Toad: Treasure Tracker , there is something original and unusual in them. Virtually every level in the game has special conditions, their implementation is encouraged by a label on the selection page, but is not required. 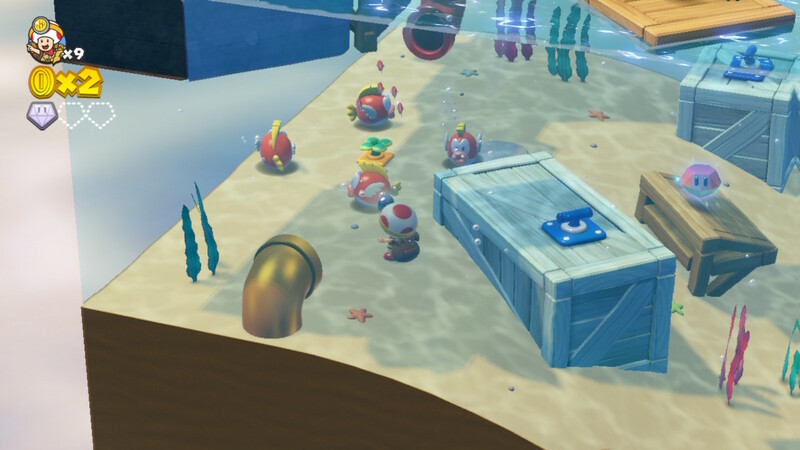 The same can be said about the additional mode that appears after the first passage of the location – the treasures collected in it do not count, the player also needs to find a pixel Toad, sometimes hidden in very tricky places. Visually, Captain Toad: Treasure Tracker for Nintendo Switch looks identical to the original Wii U. It’s pretty simple, noticeably inferior in graphics and animation to the same Super Mario Odyssey, but a nice toy, not too detailed, but with some proprietary chips. The project is definitely not for those who want to see what the Switch is capable of at the maximum. 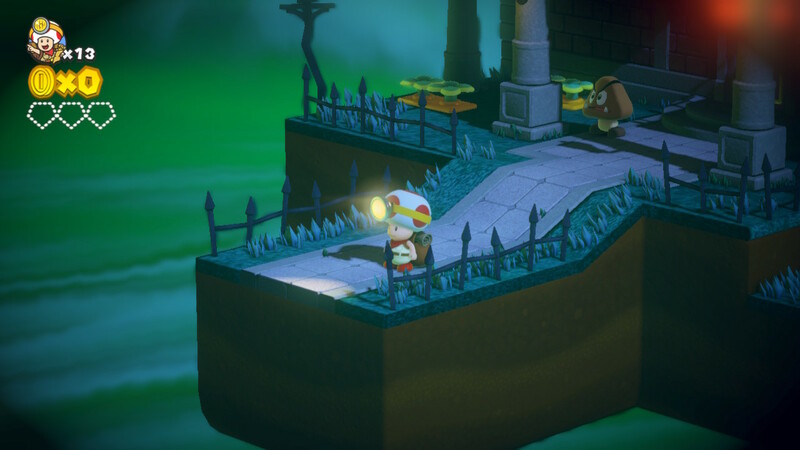 At the same time, as it seems to me, the optimization of the game is not ideal, the battery of the console in portable mode is consumed very quickly, only a little behind the top titles. 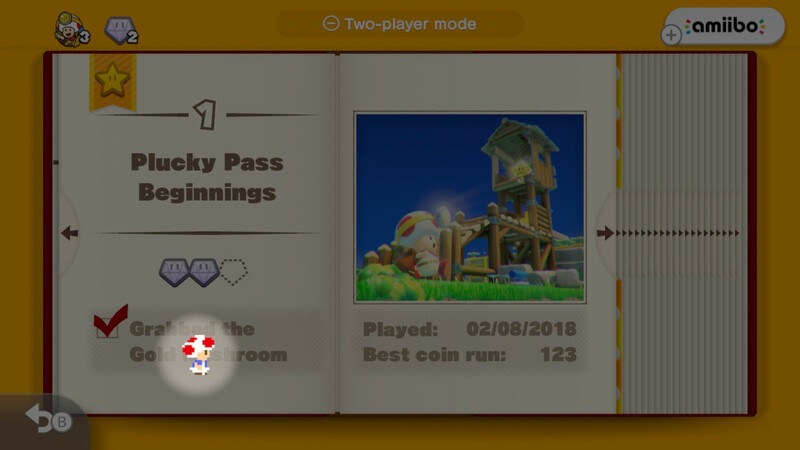 For me personally, the output of Captain Toad: Treasure Tracker on the Switch was a real gift. 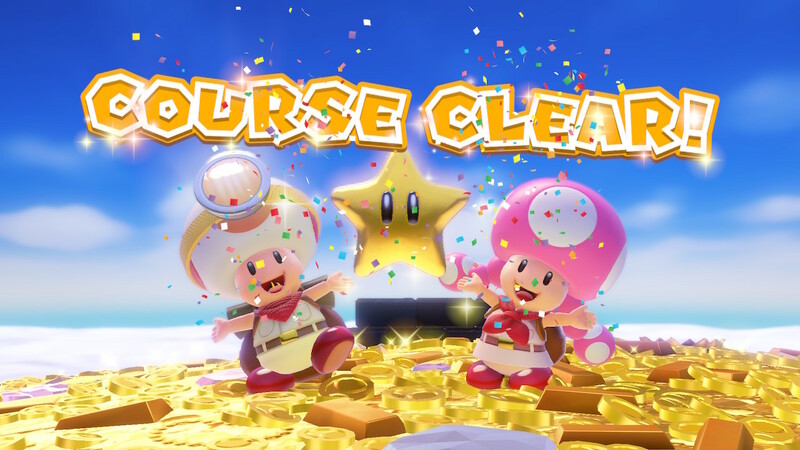 I missed the project on Wii U, so now with pleasure, although sometimes not without nerves because of difficult moments, I lead Captain Toad (and not only ;-)) towards adventure. Voraciously playing it does not work, gets tired, but raids for half an hour – the very thing. Moreover, even with such a simple Core ‑ mechanics, the wizards of Nintendo manage to constantly throw up new types of character interaction with the world.